OZ MUSIC LEGENDS: Donna Greene. Music is Life and Life is Music. Donna Greene. Music is Life and Life is Music. "Music is life and life is music. It's the fabric of our relationship, the air we breathe." 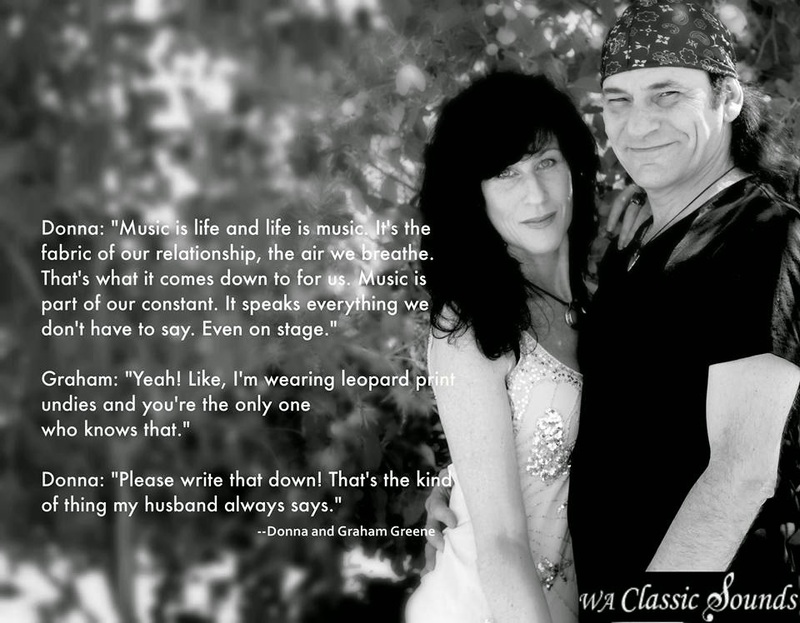 Donna Greene (AKA Donna G), made her reputation as a great singer and brilliant front lady with Lady Zeppelin, Western Australia's own unique salute to the heavyweight champions of rock'n'roll, Led Zeppelin. 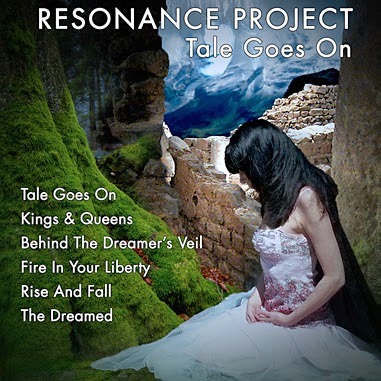 After the late 2012 release of the Resonance Project digital EP, Rise And Fall, Graham Greene, and Donna G released the 2014 EP Tale Goes On. Mesmerizing. Captivating. Dynamic. Exceptional. Classic Rock and Zeppelin nostalgia at its finest. When Donna Greene steps up to the microphone and starts belting out some of the greatest songs ever written, magic happens – Lady Zeppelin are simply the most authentic tribute band I’ve ever heard – and we’re talking serious spine-tingling stuff..."
"...Added to the dynamic combination of Graham's virtuoso guitar work and lead singer Donna's incredible range and pitch, is a ballsy rhythm section and keyboards maestro. These guys form the ingredients for a super tribute band of international standard..."
"...Good band -- lead singer rocks -- great front lady -- makes it look easy because it is for her --- they should tour --- great to play with. He's a mountain of a guitar player -- very humble nice guy too ---- thanks for the experience guys"